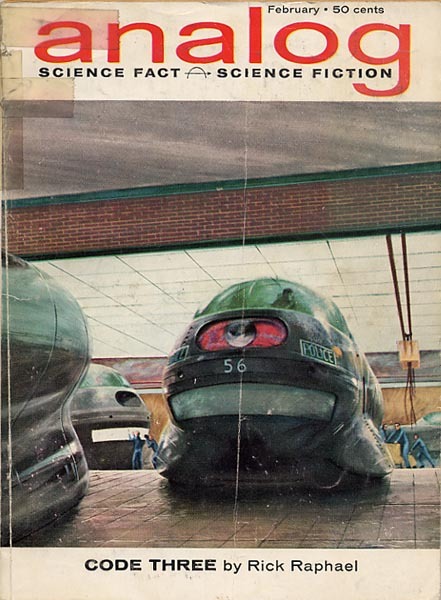 A discussion first about taglines… The 1967 Berkley Medallion edition (with its murky Jerome Podwil cover: photo) reads: “A future world of gigantic expressways—and the men who patrol them.” The 1985 Panther edition with its ubiquitous Chris Foss Textured Mass (CFTM for short) police car reads: “Before MAD MAX there was CODE THREE.” Both are in error. I proffer two edits. “A future world of gigantic expressways—and the people who patrol them.” And the latter should be rendered: “Before MAD MAX there was a completely different feeling novel that did not take place in a post-apocalyptical wasteland titled CODE THREE that attempted to be realistic with no campy villains and no revenge arcs and no…” well, you get the idea. 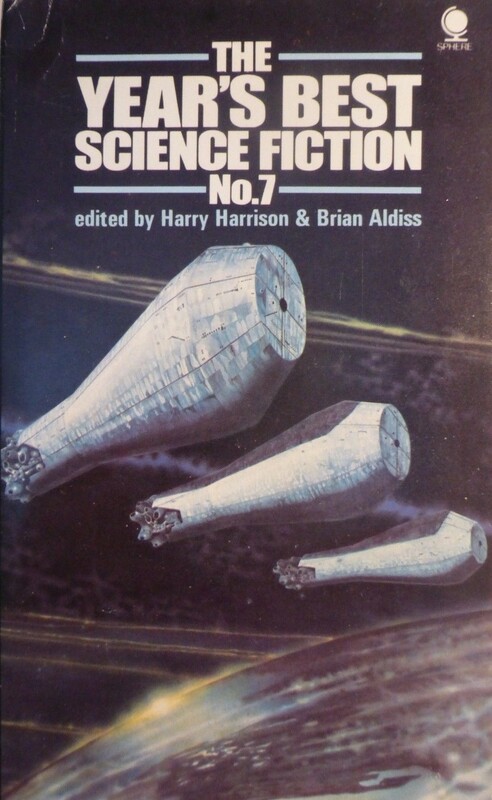 If anything, John Schoenherr’s art for the original novella publication in the February 1963 issue of Analog Science Fiction Science Fact gives the best impression of its contents. 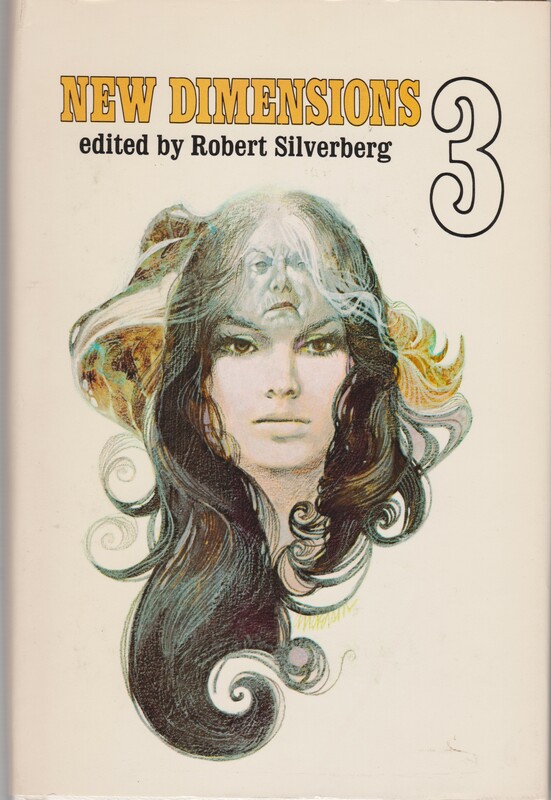 Code Three (1967) is a fix-up novel comprised of the Hugo-nominated Novella “Code Three” (1963) and the Hugo-nominated short story “Once a Cop” (1964). 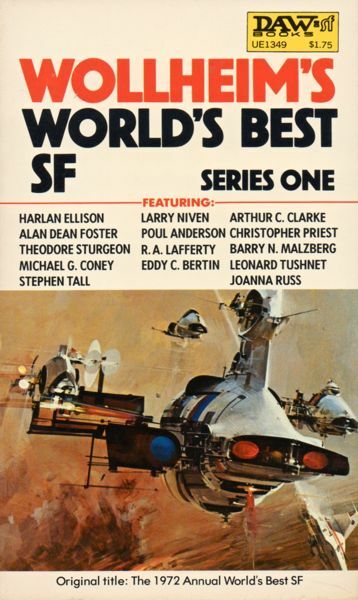 According to Rick Raphael’s entry on SF Encyclopedia, his total SF production of ten stories (1959-1981) garnered a “considerable reputation” at the time. 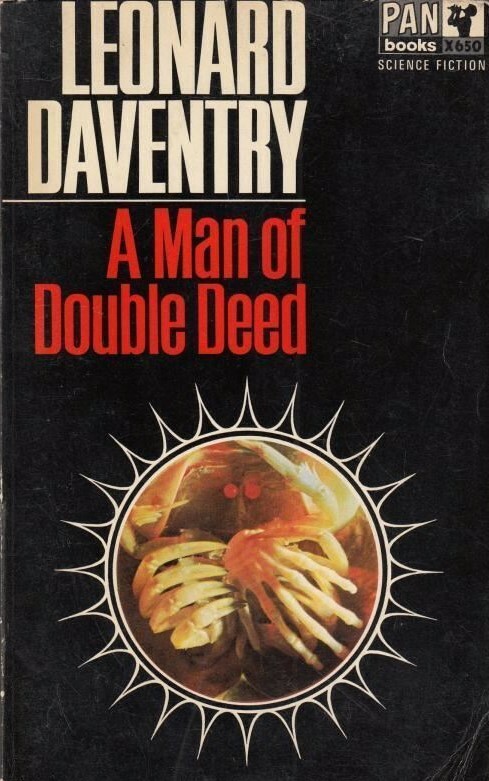 I need a copy of his collection The Thirst Quenchers (1965). In the future, the United States, Mexico, and Canada are crisscrossed by a vast high speed highway network run by NorCon (North American Continental Thruway). Indicating the complexity of the system are the color codes used in the control stations: “blue and yellow as the high and ultra-high-speed lanes; green and white for the intermediate and slow lanes. Between the blye-and-yellow and the white-and-green was a red band. This was the police emergence lane, never used by other than official vehicles and crossed by the traveling public shifting from one speed lane to another only at sweeping crossovers” (9). Due to the incredible vehicle speeds (up to 300+ mph) the extreme danger to life and limb, the highway authorities run their own courts and send out perambulating patrols with eleven month tours of duty with continuous ten-day segments on the road. As the police vehicles must be large enough to house their occupants for extended spells and operate at incredible speeds, they are sophisticated machines with mounted guns, spray foam to obscure the windshields of speeding vehicles, anti-fire measures, medical equipment, etc…. Code Three takes the form of a series of vignettes that follow a central cast of three characters and their patrols across North America. First, there’s Patrol Sergeant Ben Martin, an older office with a paternal streak. He is well-meaning, wedded to the service, and unflappable in the face of danger. Then there’s the young Canadian office, Patrol Trooper Clay Ferguson, still wet between the ears, a wisecrack and goof who brings along gourmet groceries to ease the intense tour of duty: “Pâté de foie gras, sharp cheese, a smidgen of cooking wine a handful of spices. You know, essentials” (7). Then there’s Medical-Surgical Office Kelly Lightfoot, not a full patrol officer, but, with an integral role considering the number of crashes and medical emergencies they encounter. Although Code Three initially avoids romantic entanglements, Kelly does fall for Ben and a streak of melodrama intervenes. The three are on their second tour of duty together and their light-hearted jesting, friendship, and familiarity with each other shows through. She does not buck all the trends of a 60s woman heroine, but, her role is integral for the operation. Ben, Clay, and Kelly travel across North America encountering the gamut of highway related emergencies: a roadside birth, speeding, DUI, a manhunt for dangerous criminals… Most are short realistic vignettes, in part informed by Raphael’s experience as a journalist, that show the crew at work and the mechanisms of this future world. A longer story unfolds following the attempt by an incredibly influential and wealthy father to get his son, and drunk driver, off the hook. The crew is pulled into the NorCon court. Some cracks in the system appear near the end (the cops themselves are always good!) and the finale is bittersweet. The highways are dangerous places. Code Three charms with its realism. Although I did not find myself emotionally involved with the characters, I can imagine why they would appeal to readers. They are good, caring people. Although at no point does Raphael suggest that women will become a major part of the police force other than as medical officers, Kelly Lightfoot is as much of a hero as Clay and Martin. 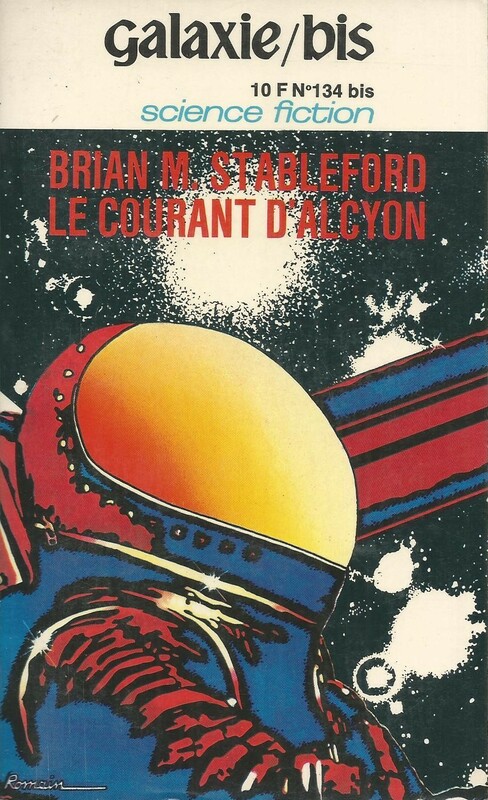 Somewhat recommended for fans of character driven and pseudo-realistic 60s SF. 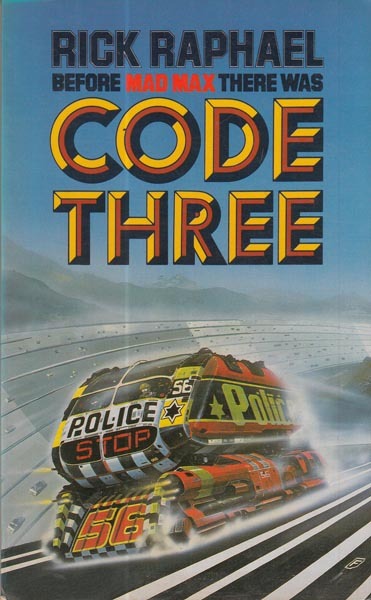 It is unfortunate that he did not write more as Code Three contains appealing elements although it does not fire on all cylinders (no pun intended). Ha! What a brilliant blog! I got lost in the used books section at a book fair the other day and came home with a bag overflowing with old campy science fiction paperbacks. Ploughing through Engineer Garin and his Death Ray by Alexei Tolstoi at the moment and I notice his is conspicuously absent from your blog. Really campy, really propagandistic, but quite fun if you take it with a laugh. Thanks for the kind words. 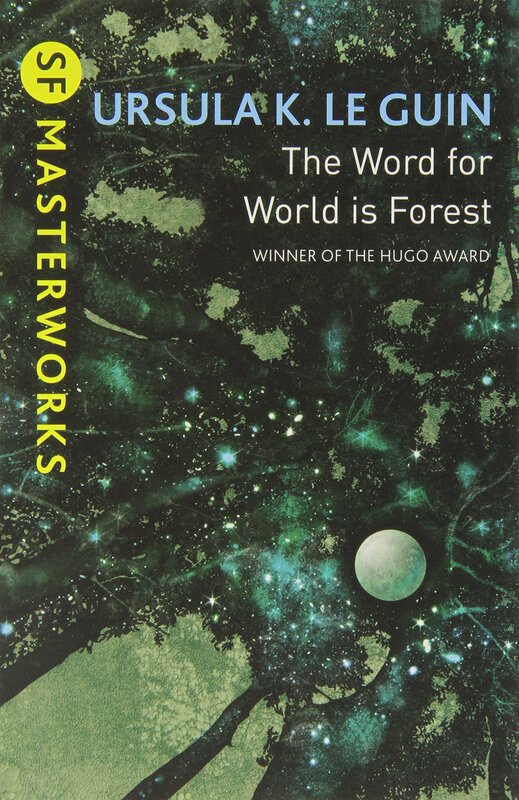 A note: My site is almost exclusively 50s-70s SF so that particular Tolstoy doesn’t really fit (I also tend to read more broadly than my site indicates, especially BEFORE I started my site) 😉 But yes, I do enjoy Tolstoy but have not read his SF novel! Aha, I see. Too bad, I’d like to see you review him! Yes, I have read Aelita (1923) and seen the movie. 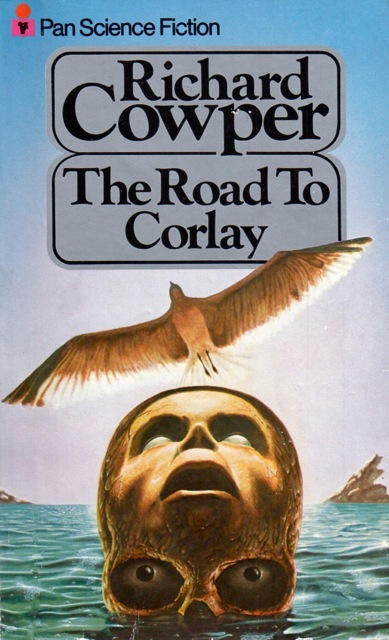 Well, a realistic, character-driven novel about highway patrolmen in the future actually sounds pretty interesting. And I notice you didn’t correct the German cover; it had me at Geschwindigkeitsrausch. 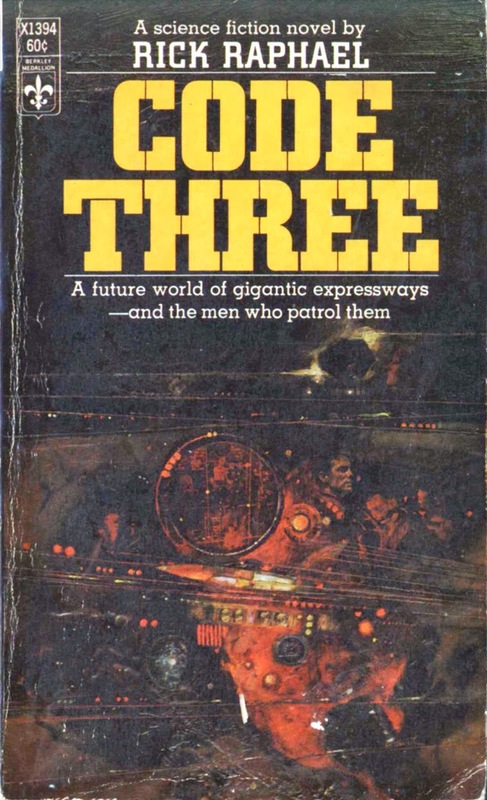 I’ve been trying to remember where I know Rick Raphael from, and I think it’s because so many of his shorts are in the public domain… Project Gutenberg archived a number of them, including the Analog novella version of Code Three. 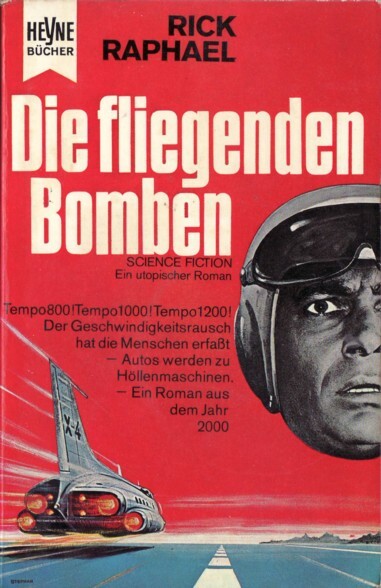 So, looked more closely at the German cover — “The thrill of speed possess men” (I guess that’s what it implies) is not that far off… because, they do chase speed demons! But, the main characters are certainly not going to be speed demons! 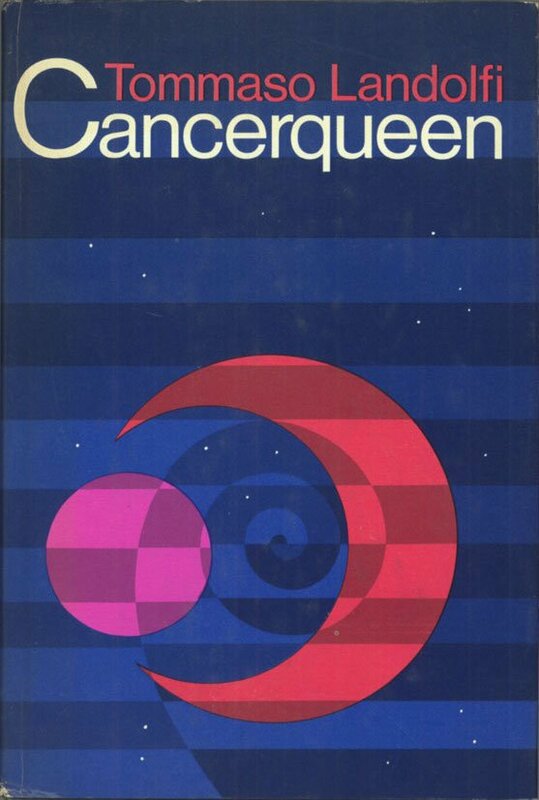 You may want to check out 1963’s “A Day on Death Highway” from H. Chandler Elliott. It’s one of those “day at work in the future” stories along a similar vein. My memory of Gunn’s book agrees with you. It’s probably a sort of sub-genre an article could be done on. I think it was more prevalent in the 1950s and 1960s, but I’ve seen recent examples. Yeah, I suspect I could come up with a few more. Gunn’s stories do have more traditional narrative arcs but he’s definitely interested in the daily experience of the workers building this space station in horrific conditions. I agree that The Joy Makers is very good. I liked The Listeners for the ending. 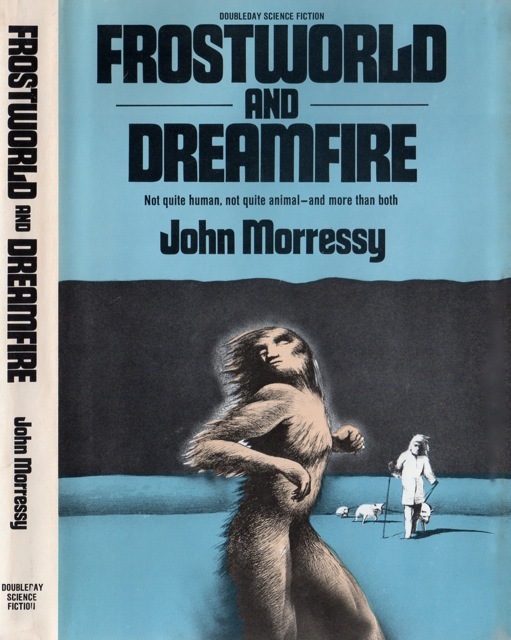 I think the Gunn novel that is most choked with lit allusions is The Dreamers. This sort of mundane-stuff-of-daily-work seems like an under appreciated corner of the genre. I’m intrigued by the book/stories now because of how much it sounds like nothing big was happening, just life. 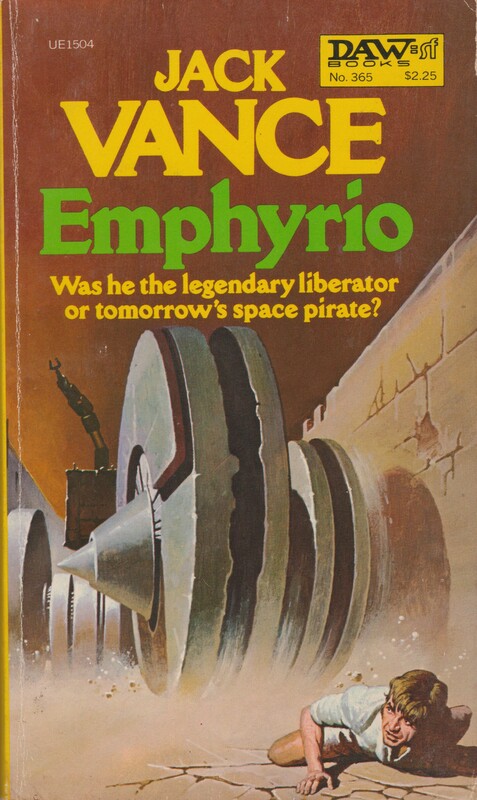 I’ve been in contact with Schoenherr’s son, Ian, he’s planning on sending me a better scan of that Analog cover! I had a subscription to Analog all through high school. At the time I hated Schoenherr’s artwork. I can’t enough of it now. 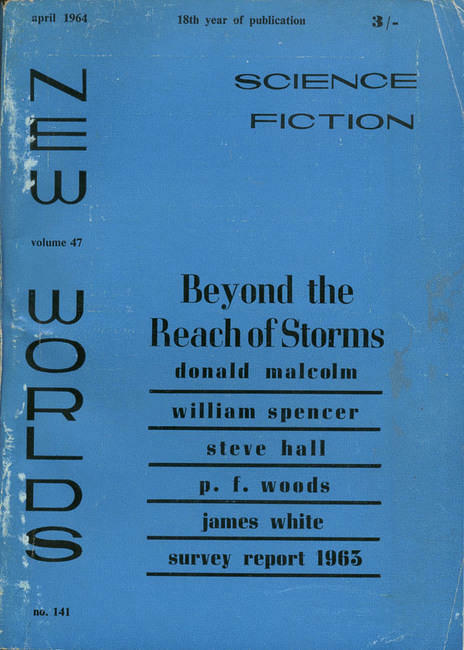 I still like the other artists that were being published in the magazine at the time, but my appreciation of Schoenherr’s art has eclipsed them over time. Haha, yeah, it’s quite fun… Definitely gives the book an older than the 60s vibe though which it doesn’t have.